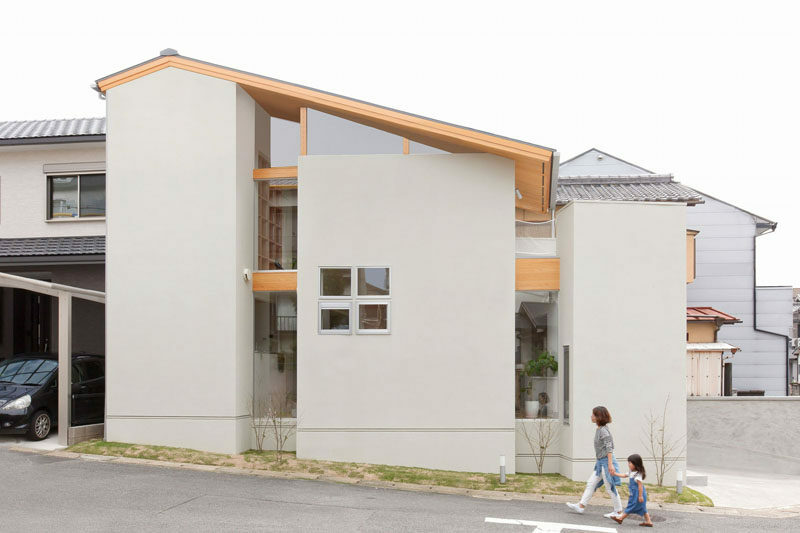 ALTS Design Office have completed this home for a family in Kyoto, Japan, and as part of the design they decided to have a bit of fun on the inside. 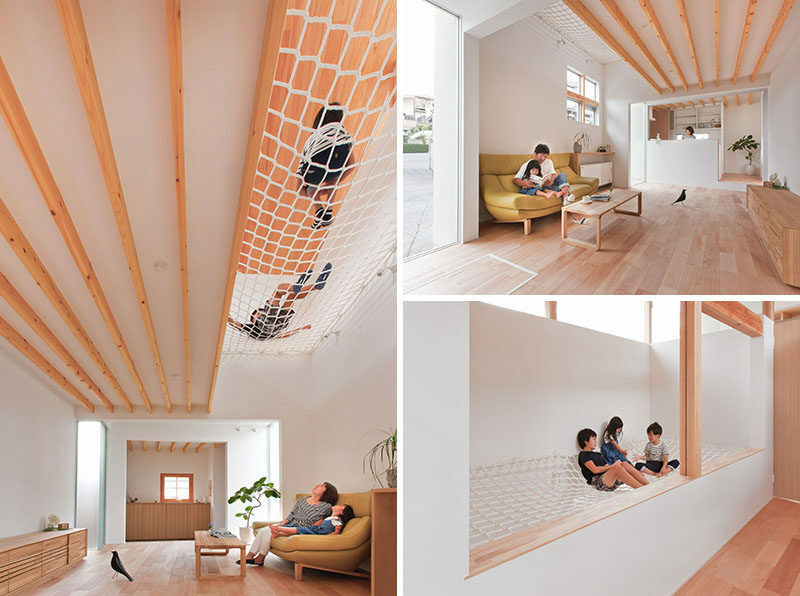 Instead of just designing a typical Japanese home, they included a large hang-out net that’s positioned above the couch in the living room. The wooden details in the lower floor are carried through to the upper floor of the home, which is where you can access the hang-out net. 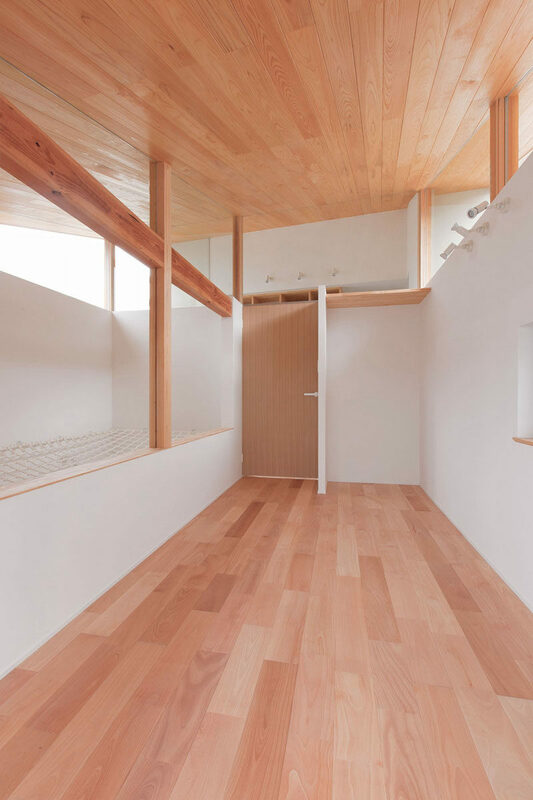 By having a net in this space, the light from the upper windows can filter to the floor below. 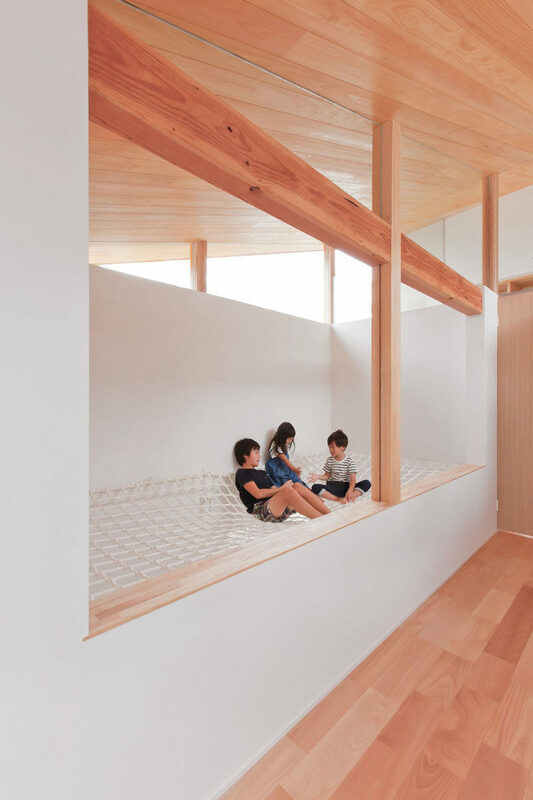 It’s also a fun space for the children to read a book and relax.